One of the easiest ways to use essential oils is through diffusing! So many of them smell deliciously delightful but are intended for different purposes. An oil that we have only used aromatically (opposed to topically, should not be used internally) is the blend Purify. Just as its name alludes to, it's meant to clean the air. Yes, clean the air, not just mask odor in the air! 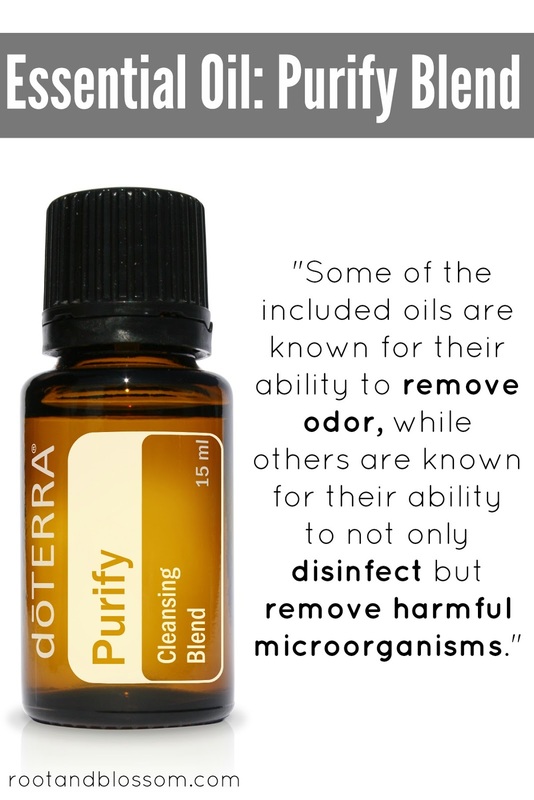 Purify is a blend of lemon, lime, pine, citronella, melaleuca, and cilantro essential oil. Some of the included oils are known for their ability to remove odor while others are known for their ability to not only disinfect but remove harmful microorganisms. As you can see, it's a pretty powerful oil to have in your cabinet to diffuse during such times as cold, flu, and allergy season(s)! "I love putting a few drops of Purify in some baking soda and then dumping it into my washing machine. Takes any smell out of any laundry! "-Alayna H.